Performing IO properly becomes as important as having efficient numerical algorithms when running large-scale computations on supercomputers. A challenge facing programmers is to understand the capability of the system (including hardware features) in order to apply suitable IO techniques in applications. 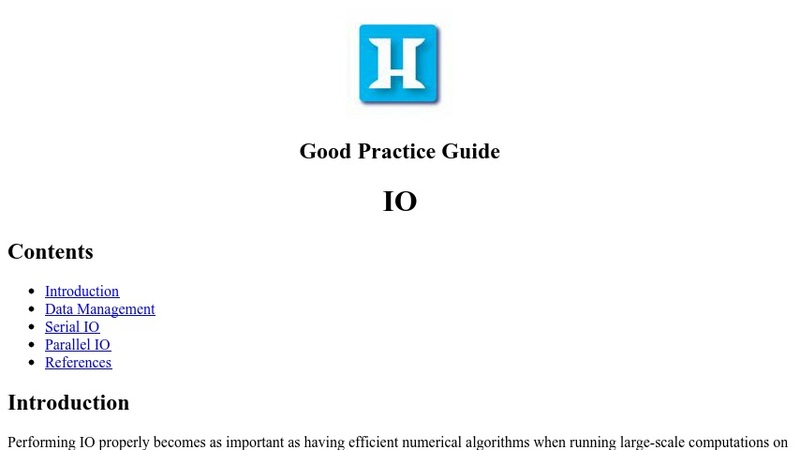 This guide covers some good practices regarding input/output from/to disk. The aim is to improve awareness of basic serial and parallel IO performance issues on HECToR. A variety of practical tips are introduced to help users utilize HECToR's IO system effectively, in order to manage large data sets properly.